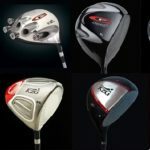 As you may have read, industry statistics are disappointing: 62% of golfers report that they have been “custom fit” yet statistics report 92% of all golfers are still playing with ill-fitting clubs. A true professional fitter has the training, experience and the right equipment to do an excellent fitting. A true professional will utilize a launch monitor to analyze your swing, carry a wide selection of clubhead and shaft options, and partner with a true professional club builder to assure that his instructions are carried out correctly. Sadly, just about anyone can claim to be a fitter. 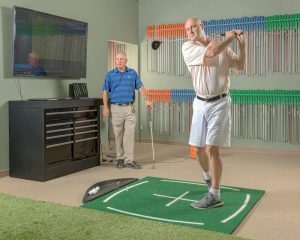 In many golf stores, every sales rep claims to be a fitter as do most teaching pros. The golfer should beware of anyone who claims to be able to “eye ball” your trajectory rather than use a launch monitor. Use of a minimal number of head and shaft options should be of great concern. The inability to check the frequency of your existing clubs or to check the new clubs ordered from a mass producer is a major red light. The KZG network of Dealers have been pre-qualified by KZG to assure that all of its fitters are highly skilled, have years of experience and attended advanced fitting courses. 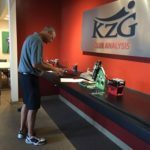 KZG also double checks to be sure its dealers have state-of-the-art fitting studios. 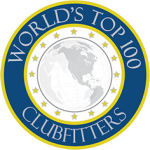 Many of KZG Dealers have been rated in the World’s Top 100 ClubFitters or are members of the elite IPAC Association. So please check out our Dealer Locator to locate a truly skilled and talented professional clubfitter in your area.